2015 was a year for some incredible albums, with each of them having great qualities that really stuck out, whether it be their sound, songwriting, or creativity. In order to give readers a taste of what each record sounds like, videos have been included with each entry. Enjoy, and Happy New Year! One Direction, Made In The A.M.
After four years of living a quiet life in Britain with her partner and young son, Adele ended her hiatus with 25, which ended up being one of the best selling albums of the year. With a shattering lead single titled “Hello”, the record was destined to make waves throughout the music industry, and ended up being the first album since the 1990’s to sell one million copies in two separate weeks. 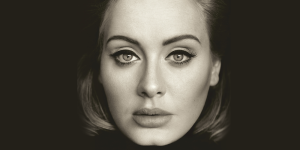 While 25 was not nearly as upbeat as Adele’s previous effort 21, we heard a more grown up Adele in 2015, who was not only singing about past heartbreaks, but also the more positive events in her life, writing “Remedy” for her son Angelo and “Water Under The Bridge” for her boyfriend Simon Konecki. As she moves forward with her music and personal life, Adele has become an unstoppable performer, where her creative possibilities have no end in sight, with her popularity growing with each album released. Over the last few years Canada has been home to several viral artists who have started their careers on social media. While Justin Bieber was the first to do this, seventeen year old Shawn Mendes is the second musician to gain an entire following online through the app Vine, by performing six second covers of popular songs, in addition to gaining the adoration of millions of pre-teens. Despite his young fan base, Handwritten allows Mendes to come across as mature, due to Shawn choosing to go the acoustic guitar route as a solo artist, rather than fronting a full time backing band. Alongside the album’s more grown up feel, Handwritten, is a simple but addictive release that is engaging and fun, with Mendes trying his hardest to follow in the footsteps of his hero Ed Sheeran. With infectious singles “Stitches” and “Aftertaste” it will be interesting to see what the future holds for Shawn and what he will sound like in his twenties, as his acoustic tunes show no signs of wear. Elessar Thiessen is a largely unknown musician and producer from Winnipeg, Canada who has released one of the best records of the year with A Rainy Week in Paradise. Playing bluesy John Mayer inspired music, Thiessan creates an environment that is calming and beautiful, with thoughtful and well composed songs. While it’s difficult to get your music heard these days even in the age of social media, the independent spirit that Elessar brings to his songs is something that we should take notice of while also realizing his potential to be the next breakout star. MKTO came onto the scene last year, with their debut self-titled record, which boasted hits such as “Classic” and piano ballad “Wasted.” With emcee Malcolm Kelly joining vocalist Tony Oller to create music that we immediately gravitate towards, their most recent release the Bad Girls EP keeps their original style flowing, though on their new EP they take things one step further by adding horns to its title track, which adds a bit of a funk and disco vibe, which widened the groups sound and gave the EP a distinct flavor. While Bad Girls serves as a strong introduction to the next chapter of the band, it leads the way for the group to try more genres and flex their musical muscles. 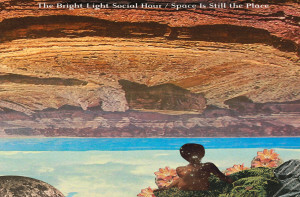 While psychedelic rock hasn’t been in style for the past few decades, its Austin band The Bright Light Social Hour who have made the genre cool again. 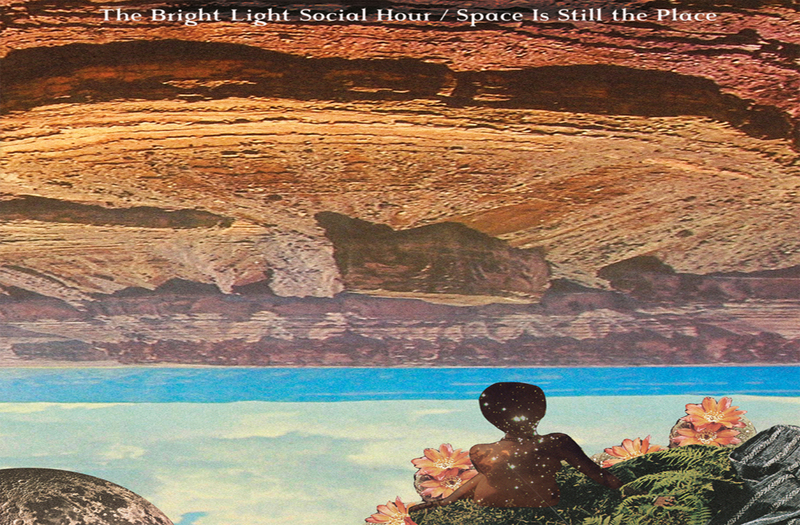 Releasing their record Space Is The Place in January, The Bright Light Social Hour have released a catchy and memorable record that we haven’t stopped spinning since the first listen. Bringing the influence of The Grateful Dead and more recent jam band Widespread Panic into the fold makes The Bright Light Social Hour a band that is memorable and funky, while giving many of Austin’s original hippies a shot of nostalgia. After the Jonas Brothers broke up in 2013, it was unclear where the three New Jersey brothers would go next, after the family band’s much hyped (and failed) comeback. While brothers Kevin and Nick have gone on to have their own successful careers within music and outside of it, it is middle brother Joe who has the preserving spirit that has been interesting to watch. After releasing a flop of a solo album (Fastlife, 2011), Joe took several years off and came out of nowhere with his latest project DNCE just a few months ago. This time the Jonas Brother has traded R&B for a funk rock band, with a slightly dangerous vibe that makes us turn our heads. With single “Cake By The Ocean” as the perfect spring jam off of their debut EP SWAAY, Jonas is back in full swing with a group that puts his past behind him. With memorable songs such “Toothbrush” and “Jinx” SWAAY, gives us a new band that indirectly reminds us to never judge a book by its cover. In 2010, Fearless Records introduced us to Arizona’s hot new band, a young pop punk act called The Maine, who released their debut album Can’t Stop Won’t Stop, full of pop punk tunes with plenty of hooks, along with the decisions of a record label written all over it. What fans would discover over the next few years was the bands desire to make music entirely on their own terms. American Candy, the bands most recent full length release, was the most recent step in achieving this goal. While their prior album Forever Halloween (2013) lacked the bounce of previous records due to its darker edge and themes, American Candy brings back the liveliness of the groups past records, with tracks like “English Girls” and “Miles Away” reminding longtime fans that the band were always more than just a product of a record label. Consistently fresh and dangerous, Candy knows how to get to the heart of its audience, while moving up the rock and roll ladder one rung at a time. Over the last few decades, Def Leppard front man Phil Collen has demonstrated his guitar skills not only in Def Leppard, but in his new side project Delta Deep, a mixture of blues and rock that moves away from the 80’s sounds of Leppard and tries out something more modern. Bringing in musicians that have performed with such greats as Michael Buble, Delta Deep brings variety to an era where guitars aren’t as widely heard on their self-titled album. From beginning to end, Delta Deep have released a soul baring record that keeps Phil Collen and his career fresh by trying something new and slightly daring, as well as giving new energy to a long time musician who could have easily faded away into the black hole of the eighties. The UK X Factor has churned out quite a few exceptional vocalists, and Olly Murs is one of them. Releasing his self-titled album in 2012, Murs and his brand of shiny pop music has never failed to impress, and his latest album Never Been Better is the step in introducing music fans outside of the United Kingdom to his tunes, with his delicate voice illustrating Murs and his relevancy. With captivating tracks such as “Wrapped Up” and “Kiss Me“, Olly has given fans a pop album that explodes with a fire that demonstrates passion and devotion to music from a talented performer.